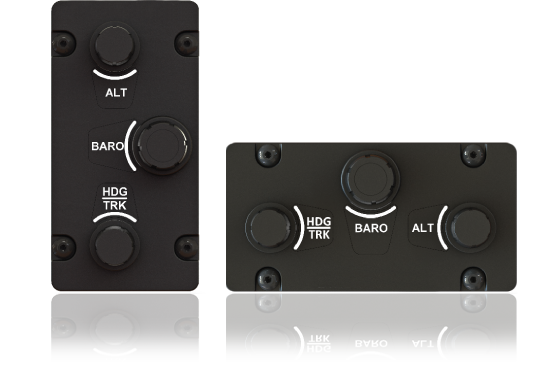 Installs easily with simple plug-n-play integration with Dynon and Advanced Products. Most pilots are introduced to the concept of angle of attack during their initial flight training. However, as most GA aircraft do not provide a way to directly measure this critical flight parameter, angle of attack usually becomes an academic notion which is not thought about while flying. Dynon Avionics was the first EFIS manufacturer to realize the importance of angle of attack and offer an affordable, accurate, and useful way to monitor it. What is Angle of Attack, why is it important, and who uses it? Angle of attack is quite simply the angle between the wing chord and the oncoming air that the wing is flying through. This is an important concept, as aircraft wings stall when angle of attack gets too large, at a value known as the "critical" angle of attack. As pilots are taught in flight training, an aircraft can stall at ANY speed if this critical angle of attack is exceeded. Hence, a great way to avoid stalls is to not let the angle of attack reach critical, and the best way to avoid critical angle of attack is to know what your angle of attack is in the first place. Navy pilots know angle of attack well. On carrier approach, they use angle of attack measurement almost exclusively to determine if they are set up correctly for their "trap". If their angle of attack is too high, they risk stall before reaching the carrier. If it is too low they will be carrying too much speed to land safely on the small patch of available deck space. Airliners also rely on angle of attack information. Some make it directly available to the pilot via a dedicated gauge or readout. Others incorporate it into the data that it uses to warn pilots about impending stalls via stick shakers and other annunciators. In both cases, the pilot is able to make better decisions because they are able to incorporate information about the measured performance of their aircraft. Dynon Avionics was the first manufacturer of affordable EFIS products to offer a way to measure angle of attack. Through extensive wind tunnel testing, Dynon is able to offer an angle of attack (AOA) pitot probe that measures both angle of attack and airspeed when connected to any of our EFIS-based products. The concept behind Dynon's design is illustrated in the diagrams at right. 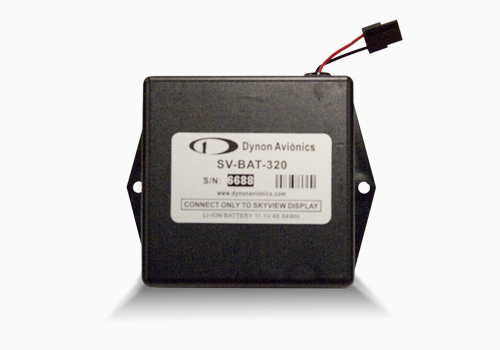 The Dynon Avionics AOA/Pitot probe performs two functions: airspeed sensing and angle of attack sensing. These functions require having two pressure ports on the tip of the probe. The normal pitot pressure port is on the front face of the probe and is designed to be insensitive to angle of attack. The second pressure port is located on an angled surface just under the pitot port and is designed to be very sensitive to AOA. The pressure from each port is delivered via separate air lines to the instrument where they are compared to previously calibrated scenarios specific to that aircraft. 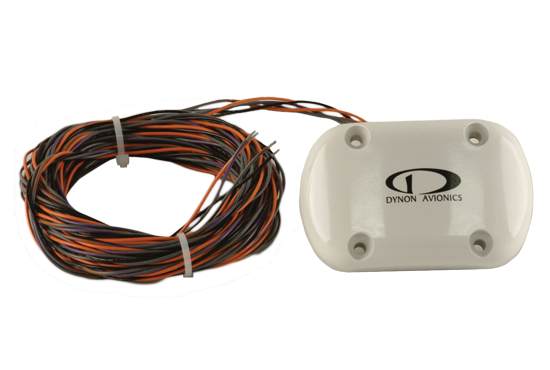 Unlike other angle of attack instruments available to homebuilders, the Dynon AOA/Pitot probe does not require you to drill special ports in wing skins. It also does not have any moving parts such as vanes. It is simply an AN5812-style pitot tube with an additional pressure port to measure AOA. Simply use it as a normal pitot tube. The only difference is a second plumbing line which runs back to the instrument for AOA calculation. Once installed, the AOA/Pitot is calibrated to the individual aircraft by running it through a series of pitch oscillations and stalls in various flight configurations. All calibration procedures are performed via button pushes on the instrument face. 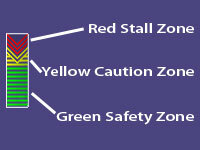 Angle of attack is indicated on the EFIS display as a vertical color-coded tape with green, yellow and red areas. Once calibrated, critical angle of attack will be indicated with the pointer positioned in the red area of the tape. An audio alarm can also be generated as AOA becomes critical. It can be set as either a steady tone that sounds very near the critical AOA, or alternatively as a beeping tone that starts as AOA gets high and increases in frequency until it is a solid tone very near the critical AOA. Mounting: Dynon's Standard L-shaped AOA/Pitot probe requires a means for mounting to the aircraft and was designed to accommodate GretzAero's PH502-12CR (AN5812 series) pitot mount."